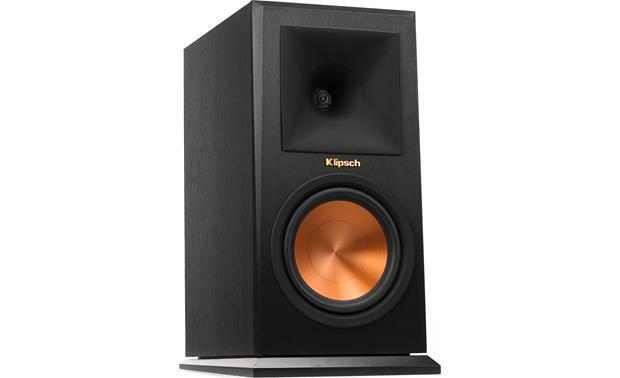 Klipsch speakers earn consistently high marks from our customers, which is no surprise. 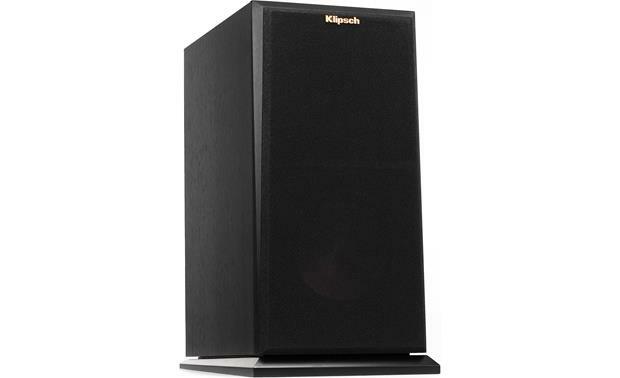 Klipsch speakers earn consistently high marks from our customers, which is no surprise. After all, Klipsch has been thrilling music and movie fans alike for almost 70 years. That's why we can't wait for our customers to hear the RP-160M. 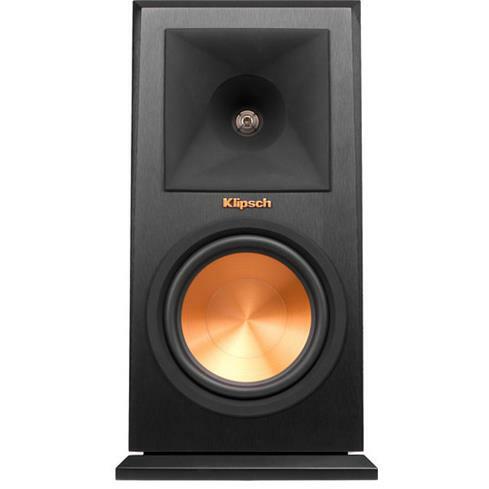 These bookshelf speakers from Klipsch's latest Reference Premiere Series have what it takes to be an instant classic, thanks to their combination of solid construction and powerful performance. Each cabinet features a 6-1/2" woofer for tight, powerful bass and clear mids, plus Klipsch's signature 1" horn tweeter for crisp, extended, highs. Whether you use a stereo pair for music listening or as the front left and right speakers in your home theater, you can count on the RP-160Ms to deliver exceptional sound. Never one to rest on its laurels, Klipsch has been busy refining and improving its designs to create loudspeakers that blow the doors off of its loyal followers' expectations. The new Reference Premiere Series builds on the acoustics and technologies of Klipsch's classic Reference Series, with important enhancements that provide an even more intense listening experience. Horn technology is one of Klipsch's long-standing hallmarks. Flared openings in the speaker cabinet project sound waves toward your listening area and prevent them from simply spilling out in all directions. This design reduces reflections that can color the sound, and boosts dynamics and efficiency for powerful, "front row" sound that remains crystal-clear at all volume levels. Klipsch's newly designed Hybrid Tractrix® horn features a circular throat around an advanced titanium diaphragm tweeter that transitions into a square 90º x 90º mouth. This unique shape provides a cleaner, more efficient transition of sound waves into your listening space. Compared to previous Klipsch models, this horn design delivers a wider sweet spot with more precise placement of instruments and vocals. Even the horn material itself has been upgraded to molded silicone rubber that helps decrease resonance for smoother, warmer highs. Rotating the speaker around and looking at the back, you'll see that instead of the conventional round port tube found on many speakers, Klipsch uses a Tractrix horn-shaped opening for smoother, more efficient airflow in and out of the cabinet. The resulting decrease in air turbulence makes for cleaner, more powerful bass with reduced port noise and low-frequency distortion. The RP-160M's Cerametallic™ woofer dishes out smooth midrange and articulate, well-defined bass. Klipsch makes its cone out of specially treated aluminum that's strong yet lightweight to dampen and prevent distortion. With the Reference Premiere Series, Klipsch also gave this woofer a newly developed titanium voice coil former that allows more linear movement for enhanced efficiency, lower distortion, and extended low frequency response. You can build a great stereo system using the RP-160Ms and a subwoofer, or team them with other Klipsch Reference Premiere speakers for high-impact home theater. do i need banana clips ? No you don't wirees go directly into speaker. No banana clips. 90° x 90° Hybird Tractrix Horns: A redesigned Tractrix Horn utilizes a circular horn throat paired to a square horn mouth to further improve high-frequency response and extension, while enhancing imaging and dynamics. The compressed molded rubber construction adds high frequency damping to reduce harshness and improve detail. This creates the cleanest, most natural sound possible. These 90° x 90° Hybrid Tractrix Horns provide a wider sweet spot while maintaining controlled directivity of the sound. LTS Tweeters: Behind each Tractrix Horn lies a 1" titanium tweeter with a linear travel suspension for open, natural, sound. The Linear Travel Suspension minimizes distortion for enhanced, detailed performance. Cerametallic Woofer: The single 6.5" woofer of the RP-160M bookshelf loudspeaker features Klipsch's distinctive, copper-colored Cerametallic material. Made with an anodized aluminum, this cone is strong and dent resistant. The anodizing process converts its inner and outer surfaces to ceramic. The outcome is a rigid cone with superb damping characteristics that will not flex or resonate at frequencies within the woofer's operating range The 6.5" woofer also employs a rubber surround for added durability. Crossover Network: The Klipsch RP-160M bookshelf speaker's crossover network is constructed using extremely high-quality components including top-of-the-line internal wiring, polyester film-type capacitors and an air-core inductor to ensure signal purity and proper driver integration. The speaker's enhanced crossover frequencies (1500Hz) offer smoother on-axis and off-axis integration. 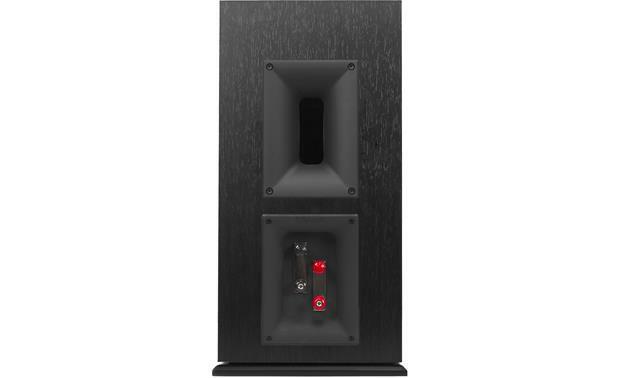 Bass Reflex MDF Enclosure: The Klipsch RP-160M employs a bass reflex enclosure with a rear-firing Tractrix port for greater efficiency and bigger bass response. Utilizing Tractrix geometry, the all new Reference Premiere bass port allows for the most efficient, fastest air transfer from the cabinet for a clean, powerful low frequency response. The speaker's rigid cabinet offers improved internal cross-bracing to minimize panel vibrations that can color sound. MDF Plinth: The all new satin painted MDF plinth footers of the Klipsch Reference Premiere series bookshelf speakers lend an acoustically sound, authoritative stance when placing the speakers on a tabletop, shelf, or stand. Pre-installed rubber feet add extra stability. Magnetic Grille: The bookshelf loudspeaker features a removable magnetic low-diffraction grille which easily snaps into place over its polymer front baffle. Dual Binding Posts: Each speaker has two sets of binding posts connected by jumpers. Using the dual binding posts, you can bi-amp or bi-wire the speakers. The binding post terminals will accept banana plugs (single only), pin-connectors, spade-connectors, and bare wire. Placement: The Reference Premiere series bookshelf loudspeakers are designed to perform well in a wide variety of locations but you will get the most out of the speakers by following these simple guidelines. 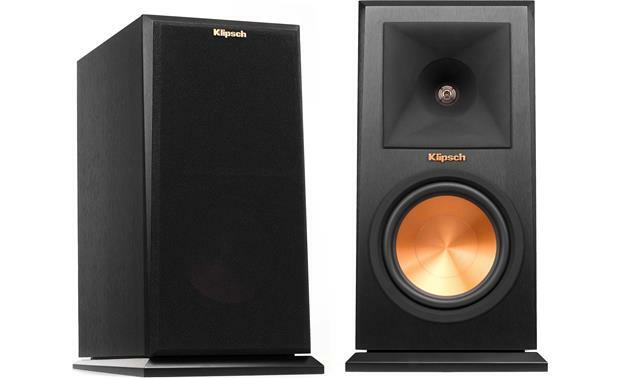 For optimum performance, Klipsch suggests placing the speakers 6'-15'apart. They may also be toed-in slightly for better stereo imaging. The listening position should be approximately 1-1.5x the distance separating the speakers. Place the front left and right speakers on shelves or stands with their tweeters at approximately ear height for a seated listener. When used surround sound speakers, they normally perform best when placed slightly higher than ear level. The bookshelf loudspeakers should be equal distance from the floor and the wall behind them. It can also help to have the left and right speakers at different distances from their nearest side walls. This sort of staggering helps smooth the bass range. You can either use banana connectors or bare wire, either will work. Just use good speaker cables to achieve the best performance. Audioquest Type 4 sound excellent with these speakers. Regular banana plugs will be ok. It's not necessary to use Banana Clips to bi wire the speakers. I Bi wired my Klipsch 160M's by using two sets of speaker wires. No, they do not take them, in fact I think they should be avoided because they are easily pulled out by passing pets. This could lead to damage to your amplifier if they touch. No you do not need banana clips the speaker wire can inserted or screwed down over over a copper plate. You can insert a banana plug if you choose to do so. No, you don't need them but they make life easier if you need to move the speaker. The speaker has terminals you can just twist the wire into. I have a 125 watt x 7 channels amp from Denon. Would that be too much for these speakers? I suppose it depends on how hard you push them. I have a 80W/channel Pioneer stereo receiver driving mine and have had it up to 3/4 volume. They were just fine. Absolutely not; I have a 130w x7 Onkyo receiver and it drives them just fine. Enjoy! The ratings on these speakers is 100 Watts/400 Watts. I own an integrated Yamaha amp pushing 100 Watts per channel. The Klipsch 160M's handle it with ease. Great sound, no distortion. Fantastic book shelf speakers. sorry but i don't know. i have a 120 watt receiver. the sound is fantastic - better than i expected. good luck! I'm not sure because I'm using them with Yamaha RS 700 Receiver. They sound great for my Purposes, but this isn't a Real Powerful Receiver. What are the dimensions of these speakers? The website doesn't say. Thanks for your question. Check out the "Product Highlights" section on the main product page. The dimensions are listed as 8-13/16"W x 16-11/16"H x 12-7/8"D. Hope this helps. What is the minimum RMS wattage to sufficiently drive these speakers ? would the speaker be ok if I layed them on their side? The speaker base is screwed in place and extends out 1/2" around the bottom of the speaker. You'd have to remove the base to lay it flat; then there is the issue with scratching the cherry finished surface. Its all a matter of preference at that point. I just prefer it upright on its base, but that's just me. They have a flanged base at the bottom which would prevent them from laying totally flat. It would scratch the beautiful cherry finish too. Do not recommend. It's not going to hurt the speakers if you lay them on their side. However, you should place something between the speaker and the surface of whatever their on to protect the finish and help dampen the speaker. If I'm not mistaken, the tweeters should go to the outside for the best imaging. They are built on a base and angled back, so I think I would not lay them on there side. Can you use these speakers as Rear Surround speakers? The RP-160 Klipsch speakers work nicely for rear surround speakers. I use them in an 11.1 system powered by a Marantz receiver that auto balanced everything and the result is stunning. I don't see any reason why you can't or shouldn't. They are fine speakers, not too large, plenty of volume. Personally I am not using them as rear surround. They should work fine for that purpose. They are wired speakers, so you'll need to account for that. We use them in a large, open room and they fill the space very nicely with sound. Great speakers! Yes, I have a pair that I am currently using as rear surround speakers. They work very nicely to create a balanced sound. I use my RP160M,s as my rear surrounds coupled with my RP260F,s as my front speakers and the sound is fantastic. These are very versatile speakers and worth every penny of their cost. You won't regret the investment. Hi Kenneth, I am not smart enough to answer your question but will tell you that I love my speakers. How much is the maximum watts of an amplifier to run this speaker without damaging both the amp and the speaker? Klipsch says they will handle 100 watts continuous 400 watts max. They are very sensitive speakers so you can run these with minimal watts. I use mine as rears in my home theater setup at 120 watts per channel. Keep in mind that peak watts is much different than RMS or continuous watts which is a much more realistic figure of what you are working with from your stereo or amplifier. Same goes for speakers. Find the high end of the RMS range for the speaker. Than you can use any amplifier that meets the speakers requirements within the RMS range. You can safely exceed the RMS rating of the speaker by 10%. 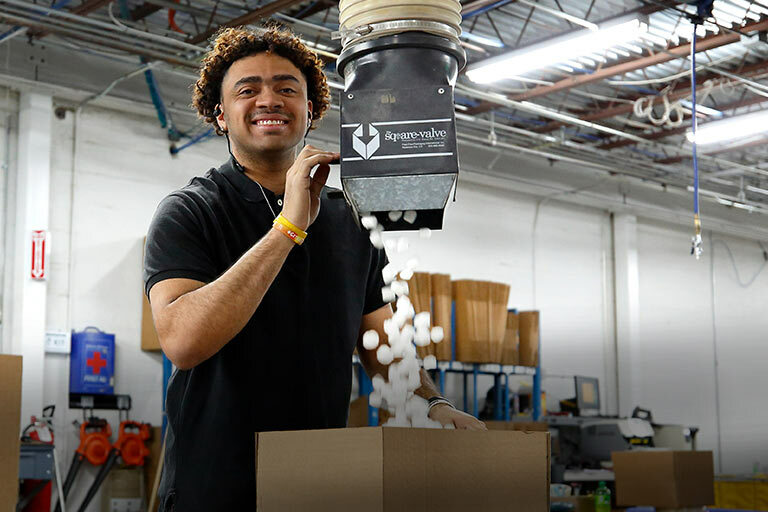 Clean power never hurt a speaker. Distortion hurts speakers. Hope this helps. These are really efficient speakers so if your amplifier is a low wattage they will be able to drive these speakers just don't turn up your volume too high the distortion could damage the speakers. There is no picture of the rear connection terminals, question being are these bi-wired and if so, what difference does it really make in terms of sound quality? The RP-160M have two black and 2 red posts that will allow bi-amping. They ship with what appears to be a gold plated plate that fits over paired red or black posts for single wire use. Whether to use single wire or two wire, bi-amping, depends on personal preferences and the wattage your receiver/amplifier can sustain. Most normal or higher wattage systems are capable of driving these bookshelf speakers to volumes above what you would normally want, in even a large volume room as part of a sound field. If these are your only speakers and you have a lower wattage system you may want the extra volume from bi-amping. I cannot comment on sound quality with biamping of this model, as I have not run them in that mode. I am very happy with ability of these speakers to represent theater sound, rock, jazz, and in particular the timbre of string and wind instruments. Yes, you can bi-wire but I haven't tried it. I've yet to own a speaker that sounds markedly different to me when bi-wired. You end up with more power or signal to each speaker in the box in turn you get more out of each , hope it makes sense. I had to find this by looking at the pdf file for the speaker installation. They are bi-wired. I didnt hook them up like that though. They're wired up to a Yamaha 479 with a Klipsch 200 w sub. This setup rocks the house quite adequately. Hope this helps. These speakers were going for around $439 just a few weeks ago. Why the sudden price increase? Can these be used as the front speakers for a 7.1 surround setup? Certainly, I dont see why not. I do not have a 7.1 setup however these would work great as front speakers. I love mine! What county are these speakers made in? County Cork in Ireland? Holly bejesus! How you gonna know the question to that answer? Regardless of what County they were made in they are excellent speakers with neary a minute of down time. When I bought these in June 2016, they were made in China. I bought primarily after listening to them in a speaker side by side sampling room at BB store. I was blown away by their sound and I still like them after two years, much better than the Bose speakers I had. They have a brighter/cleaner sound with good base. Anyone compare these to the Elac UB5's? Based on reviews/price, hard to compare or rank one above the other without listening. RP160M vs. RP250S --- are the 250S's really going to offer twice the sound/sound quality since they cost twice as much? $400 vs $800. These would be for rear speakers in a HT. I'm a 60/40 guy.... movies/music. Thanks. How do you mount these on a wall? I've looked at photos online and don't see where one would attach them to a wall bracket. I see the RP-150M has a keyhole bracket but not these RP-160M speakers. If you can mount them on a wall, what brackets are recommended as these speakers way 19lbs each? These are truly meant to be bookshelf speakers and there aren't any pre existing brackets to mount on the wall. Your best bet would be to buy some shelving from Home Depot and place them on that. Awesome speakers though! I bought some wall brackets by made by B-Line. Holds up to 85lbs. It has a bottom brackets that squeezes the sides of the speaker and holds them in place. I've had these for years and never had any problems. All metal construction. I have a picture available to show you but I'm not sure how to attach that to this response. I was a bit concerned about weight myself so ultimately decided to go with floor stands instead. I was considering buying something like a Toggler Snaptoggle to do the job but decided against it. I wanted the tweeters at ear height anyway. Great sounding speakers of course. Especially paired up with a Klipsch sub. Love em. What kind of stands are you using for these? Isoacoustic monitor isolation stands, large size, purchased from Sweetwater which is a pro audio/music instrument company in South Bend, Indiana. They have a huge website and you can find them there or from other vendors. I didn't use stands, I set them directly into my entertainment center. If you do choose stands, make sure they are sufficient for the weight, as they are quite heavy. Not using stands. They were bigger than I originally thought. Just have them on a flat surface. Can you put this speaker in a bookshelf (i.e. not on a stand or wall mount)? One review elsewhere mentioned that this would block the rear port from functioning well and muddy the sound. Yes, this speaker can be placed on a shelf. The shelf needs to be deep or you need an extended base on the shelf at the speaker as the speaker foot print is about 12 inches in depth. I have a few inches of clearance behind my speakers with good sound. 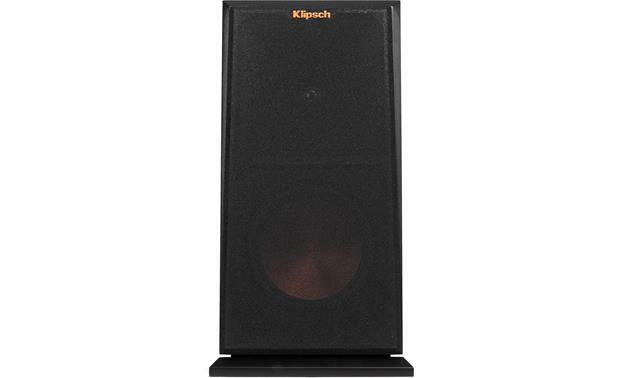 An alternative would be to get the Klipsch RB-61 II speakers. They have very similar tonal quality but do not use a rear face port. I have a pair on the same sound system that I use as my rear channels as they are up against the wall. I dont know, as I have mine on a floor stand. I wouldnthink that if you could allow 6-8 inches between the rear port and shelf backing, it might not distort the sound. Just a thought. I think they are right about being on a bookshelf affecting the rear port. I called Klipsch when i was moving these around [I have 4 in my shop] and was told to have the rear of the speakers at least 8 to 12 in. from the wall. I built large shelves and put all 4 on the walls and set them out 11in. from the walls and they sound great. To close and the rear port won't function as it should. I don't see why you could not. I have my on a wall mount. On a bookshelf would be fine. He sound out of these speakers is great. Very clear. Louder than I thought a speaker this size could produce. Yes, I have them in a bookshelf system and they are performing very nicely. About how long a "break-in" time do these (RP-160) require? Out of the box, the bass is anemic to non-existent. Every connection has been triple checked, so I know they are in phase. The speakers have really nice sound, but to this point and time have not had a lot of time to play them. Maybe 40 hours or a bit less. In my 20x15 living room I rarely even turn on the sub anymore. I'm not aware certin of any suggested break in time, but the pair that I received had very full sound that only got more rich and smooth with time, so maybe it could be your reciver/amp. I would give it a full 24 hrs of listening and try to re-evaluate after then. I had the same problem . I sent them back. Can you recommend speaker stands for the RP-160M? Sorry, can't help you. I have them on bookshelves. I can tell you they sound incredible for their size! Good luck. Has anyone compared the RP160m's to the Def Tech SM55 or SM65's? I will be using them for 2.0 system 75% HT- 25% music. Which are better overall speakers? I had a pair of Mythos 6's which I exchanged for RP160's. Definitely like the RPs better - fuller, richer sound. I also recommend their center channel speaker for HT. What is the actual width of the speaker cabinet? Is the stated width of 8-13/16 inches that of the cabinet or is it the width at the speaker base which extends out 1/2" around the bottom of the speaker? It is the width of the speaker base. 8 13/16" is the width of the base. 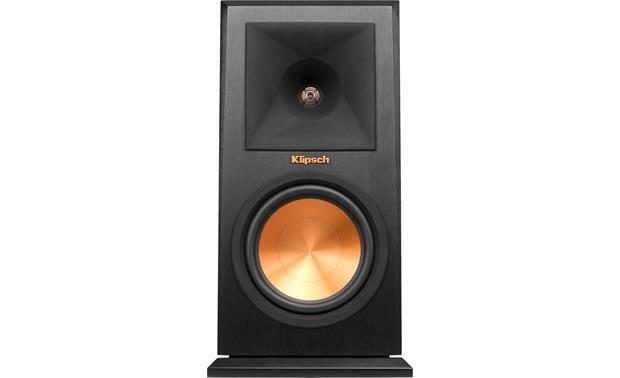 Actual speaker is right at 8"
Searches related to the Klipsch Reference Premiere RP-160M Bookshelf speakers.